I am going to start this review by jumping into the middle first: when I say Castle isn’t that special of a show, I want you to understand my full meaning. At first glance, and second glance, and third glance, Castle may very well be just like every other crime show with a gimmicky twist out there. They’re all over the place, really, and they have been for decades. The Mentalist, Numb3rs, Bones, FBEye, the NCIS franchise, the one with a woman who has a photographic memory, and the upcoming Deception are just among the latest crop. Before them, there was Martial Law and Walker: Texas Ranger. Before that, Diagnosis Murder, Father Dowling Mysteries, and Matlock. Before that, Columbo and Murder, She Wrote. And before that, Perry Mason. Really, there’s so many, and most of them feature quirks ranging from the simple to the complex: a lawyer or a doctor doing the detective work, an obsessive-compulsive detective, a foreigner joining the local police in a task force, someone deaf, someone with a specific skill set, and so on and so forth. Castle quite obviously draws on and renews the idea of Murder, She Wrote, where a writer is solving genuine murder mysteries. So, it’s not really that different from a host of other quirk-based crime shows, none of which are particularly different from the rest. They may have their own taste and texture, but they all hail from the same family of dishes. Another common trick with crime shows, especially the more recent additions to the genre, is to have something personal driving at least one of the protagonists, generally a personal grudge with a criminal adversary. The Mentalist, Martial Law, and apparently Deception all use that trick, and so does Castle. So, again, it’s not that different. If what you are wanting is “different,” then you’d best not bother with any stories in any genre at all. It’s all the same, really, when you get down to it. The trick is, simply, making it entertaining anyway. And that is where Castle, like many of its peers, delivers. That’s why we love it. Not because it’s one of a kind, but because, whatever the similarities, it’s fun and thrilling and sometimes even heart-warming to watch. 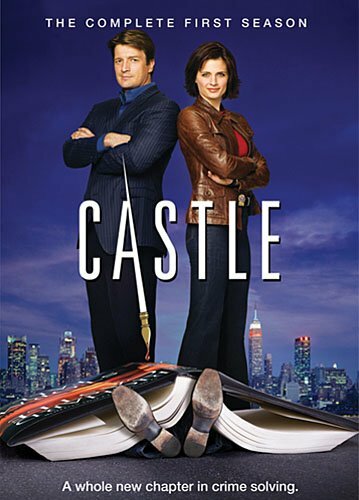 Castle follows the adventures of its titular character, mystery novelist Richard Castle, alongside his partner and romantic interest, homicide detective Kate Beckett, as well as their close friends and family. They deal with murder cases almost on a weekly basis, often unusual in some way, exploring some niche of our culture. The encounter serial killers, some of them more than once. They also, over the course of the entire series, eight seasons long, follow the shadowy tendrils of a conspiracy all the way to the very heart of it within the halls of government power, and it all begins with Beckett’s lifelong quest to find, and bring to justice, the people responsible for her mother’s murder. Also over the course of eight seasons, in addition to Beckett’s success and the development of Castle and Beckett’s relationship, we see Castle’s daughter grow up and become a vibrant, capable woman, we see his eccentric mother eventually find her calling in life, we see how Castle and Beckett each became who they are, and we see their friends and fellow officers develop relationships of their own, one even starting a family with the woman he meets and marries within the show’s story. In short, the characters become like family to each other, and together they go through the long, bumpy road of life, doing good deeds as they serve the community. So it’s less “distant,” you could say, and more personal. We love the characters, we love the story, we love the humor, the heroes, the villains, the plots and subplots, the drama, the tension, the suspense, the action, the mystery. It makes for a show where most episodes are able to stand on their own, but the narrative develops constantly from beginning to end, avoiding that episodic feel which I personally dislike. Do I like this show? Oh, yes. I do. I binged the entire thing when I was first introduced to it, a few years ago, and I was not remotely tired of it when my binge was concluded. I do feel like they took their sweet time getting Castle and Beckett together, but I’ve seen much worse. It was more like putting the romantic tension on a slow boil and letting it simmer, rather than either boiling it too quickly or letting it go stagnant. 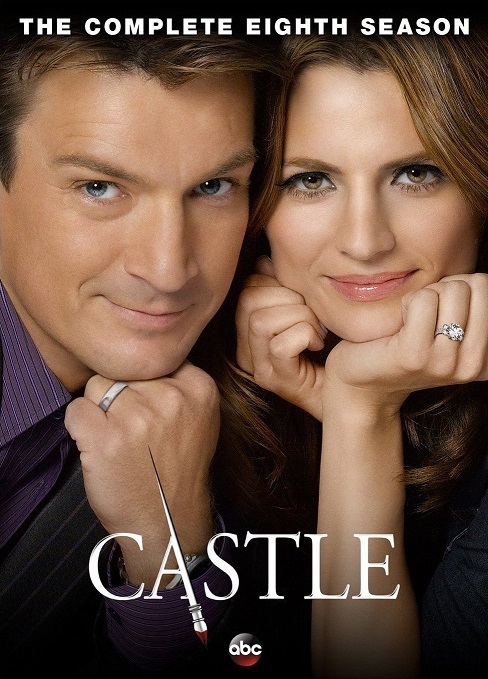 In short: I found Castle to be riveting and entertaining, gripping and hilarious, from beginning to end. I am happy to own the entire series. This entry was posted in Tuesday Review, TV Shows and tagged Castle, Kate Beckett, Richard Castle. Bookmark the permalink. I really enjoy Castle though must admit I like the episodes while the characters are on the case and the banter between them. The family moments at times bordered on just that little bit too sweet for my tastes. That said, I loved watching this series and the early seasons are very bingeable. Thanks for sharing your thoughts on it. What a beautiful review…Well done. I love castle too but I wish they had more time to end it properly. I completely agree. it was the best outcome. I was satisfied. Don’t mind me, I just can’t help imagining the possibilities.